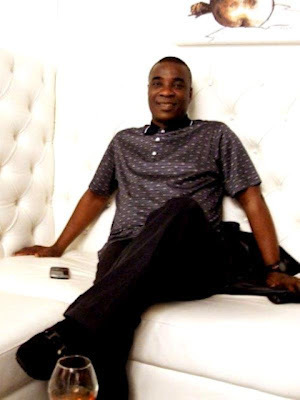 The King of Fuji music,King Wasiu Ayinde Marshal a.k.a K1 De Ultimate has moved into his new home in Ijebu-Ode,Ogun State. 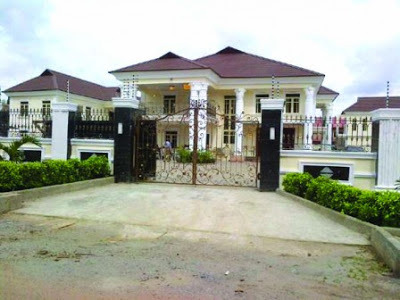 The cost of the architectural masterpiece has been put at about N100 million naira. So magnificient is his Country Home which he calls Ule Omo Ojusagbola(the house of the child of Ojusagbola) that many people are trooping there to see it. 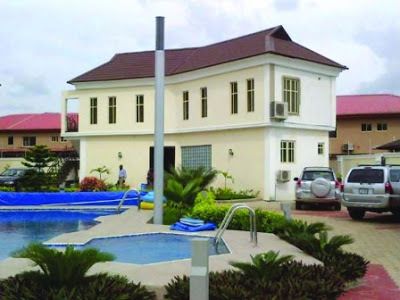 His neighbours are very happy because like he did at his Ago Palace Way House in Lagos,he has added value to the area. He has not only awarded the contract for the rehabilitation of the road leading to the house to Fisco,work has started on proper drainage construction too. 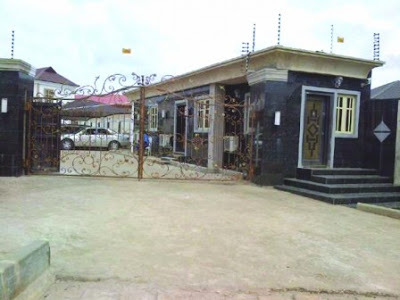 The multi-million edifice which is very close to the Ijebu-Ode Stadium,recently renamed Dipo Dina Stadium sits pretty on 1,800 square metres of choice land. The complex is made up of 4 buildings in 1. There is the main house which has about 7 bedrooms;5 bedroom upstairs and 2 other rooms downstairs with dinning and 3 sitting rooms downstairs and 2 upstairs,an 8-room guest house,a state-of-the-art Gym and Studio all-in-one,and an eye-catching Gatehouse. Although K1 refused to put a figure to it,an estate valuer who recently visited the imposing structure put the total cost at about N100 million from the cost of land to the high quality construction . The main house which is huge is adorned by about 6 Graeco Roman designed huge pillars which are usually found in the house of the super-rich. The house has a lot of high grade Bulletproof Swisstrade doors imported from Switzerland. XGen SEO has around 100 social media sites built-in as of this moment. the software products. 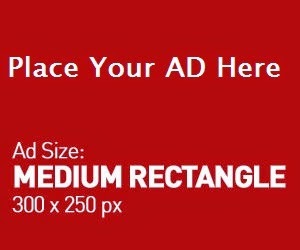 Fourth, writing services' writers might be well-versed in SEO, but not in copywriting principles.